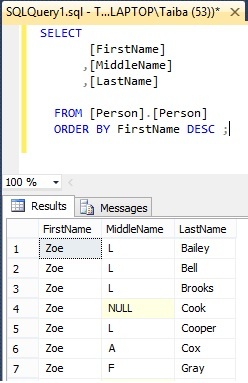 ORDER BY clause is used to sort the data in ascending or descending order, in SQL Server by default data will not be inserted in any order even if you have an index. 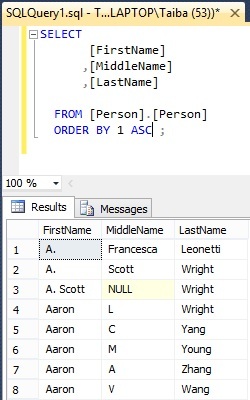 We will take an example of table [Person] to sort the column order by FirstName in ascending order. If you do not specify the keyword ASC, sorting by default will be in ascending order, this is equivalent of below query. 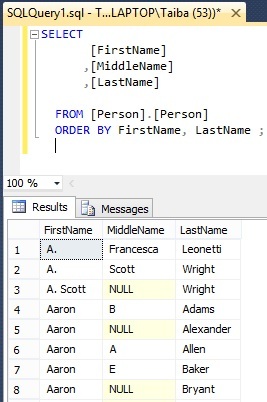 If you want to order the data in descending order then you have to specify ORDER BY DESC as shown below. 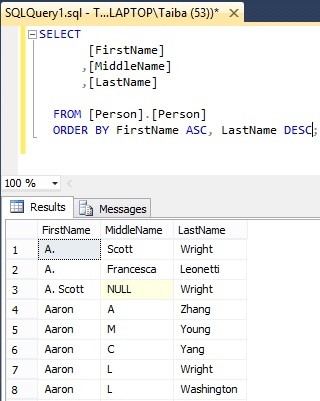 Instead of column name you can also specify numeric position of column to sort data as shown below. 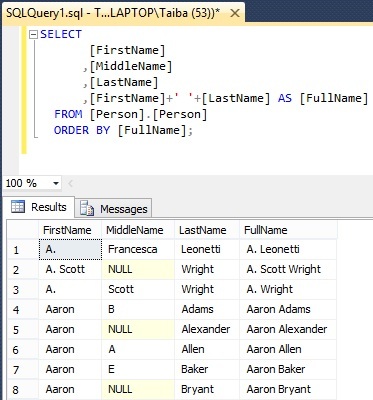 It is considered bad practice to use numerical position instead of column names. 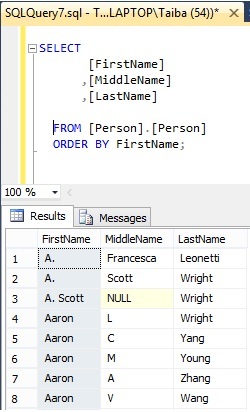 For example, if you change the positions of columns, or if you add columns then it will give error. Here we are sorting two columns FirstName and LastName.